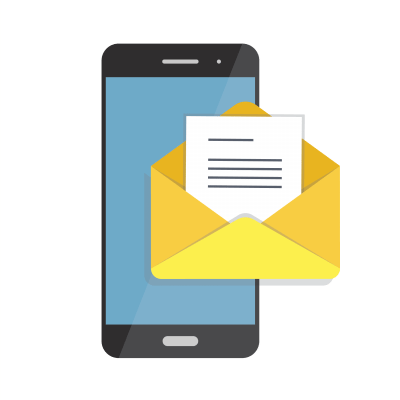 Query letter writing workshops will often advise you to mention comparable book titles in your letter to illustrate where your own book might fit within the publishing market. While it may be helpful for a literary agent to see the titles you feel are similar to your novel or memoir, there are also potential drawbacks. Some writers compare their book to a well-known title. You know that book everybody’s reading right now? You can bet that the market is filled with query letters promising to be just like that book. But here’s the problem: That book’s already been written. And since so many query letters are already making comparisons to that popular book—your book could be shrugged off as another copycat. Other writers compare to overly obscure titles. 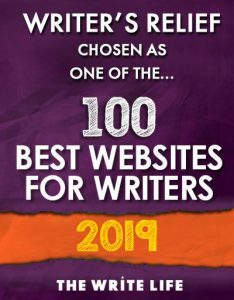 Tricky as it might be to compare your book to the most popular book on the New York Times list, it’s also potentially complicated to compare your work to a book that’s not well known. If the book you use for comparison doesn’t have good sales numbers, your effort might flop. Many writers simply compare to the wrong titles. As an author, it can be hard to “see” your own book. So we’ve seen countless writers compare their books to titles that don’t quite match up. And that can weaken your branding and positioning. Or writers “cross” books that don’t seem to mesh. By mentioning two titles that are very different, writers may hope to entice an agent into considering a new idea based on formulas that already work: It’s like THE DA VINCI CODE meets GONE WITH THE WIND! It’s like LOST meets A MILLION LITTLE PIECES. It’s like THE SEVEN HABITS OF HIGHLY EFFECTIVE PEOPLE meets RICH DAD, POOR DAD! We’ve seen this angle backfire many times because, often, the crossed titles are more confusing rather than clarifying. Keep in mind: You may compare your book to a book the agent hates. Let’s say Agent A reads only a book blurb, loves the idea, and asks for sample pages. Meanwhile, Agent B has exactly the same taste as Agent A, reads the same book blurb, but also reads that the author has compared the story to a book the agent dislikes. That’s a missed opportunity—especially if the comparison wasn’t really a good one to begin with! What about comparing titles for nonfiction? If you compare nonfiction books, know that you’re up against the same odds as a writer who compares fiction. That said, the “comparing game” changes a bit when we move into the realm of prescriptive nonfiction or popular nonfiction. If your nonfiction book is in a field that is saturated, you may want to point to other titles to demonstrate how your book is different than what’s already out there. Otherwise, it may not be obvious to an agent why your book called How to Grow a Garden is different than any other garden books on the shelves. Let’s be clear: We’re not saying you shouldn’t ever compare. Book comparisons can be helpful to agents. Literary agents like to see that writers are intimately familiar with their book genres. And well-done comparisons allow an agent to quickly get a sense of what the submitted book might be like. If you’re writing on a subject that really has no comparisons, don’t “force” a comparison that isn’t a natural fit. Comparisons aren’t mandatory in queries. Run your comparisons past other book lovers or writers group members who are familiar with your book. Do they think your book compares appropriately? Do they have other suggestions? If you’re going to cross-reference, see if your “A meets B” concept is clear, precise, and easy to envision. Ask others what they think: Do they understand exactly what your comparison means, or are they confused about which elements, exactly, are overlapping? Consider the popularity or obscurity of the comparison. If you are going to compare to a popular, trendy book, do it carefully and explain how your book is different. If you’re going to compare to an obscure book, make a case for why your book could be more effectively marketed. QUESTION: Do you think book comparisons are helpful? What book(s) does your book compare to? 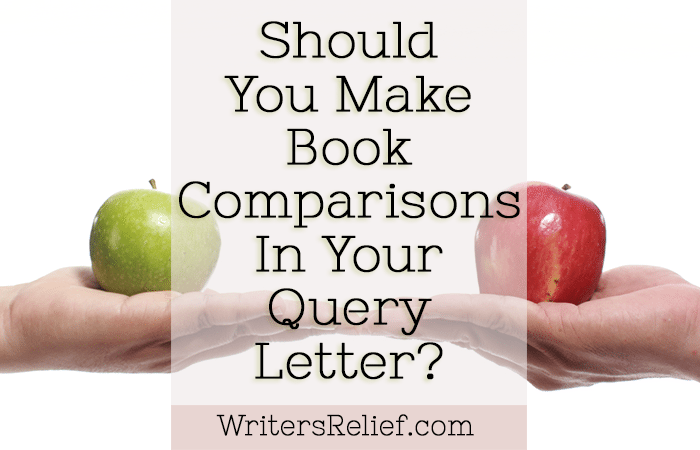 4 Responses to Should You Make Book Comparisons In Your Query Letter? I think it is best to have a clear vision that resonates with a target audience in your genre, but to be distinctive, compelling and credible. I wouldn’t make a comparison for this reason of branding alone. It is better to have conviction and confidence in your own originality of authorship. What I hear over and over from beta readers is that my book hits a particular spot in their comfort reading that goes through cycles in publishing – this niche was last being really well supplied in the early 2000s, and before that in the mid-’80s, but there’s just not much on the market right now that fills this desire, and they miss it and want it. I think it’s poised to come back. Being a professional buyer (I’m a collection development librarian) I’m seeing trends that make me think I’m ahead of a curve that’s about to start peaking. But I don’t think it’s particularly helpful to say to potential agents, “this book compares favorably to stuff that was popular fifteen years ago”. Ehrm. I have been mentioning in my query letter that the plot of my novel is something like David Baldacci’s “Absolute Power” in that a protagonist in an illegal profession sees someone with power commit a murder, but my hero has fewer resources to draw on. I don’t push it beyond that. Your suggestions and enquiries are useful. To this regard, to give the exact comment is too early. The book in question is not exactly identified, and it all depends on its publication. If your question on publication of my poetry book, I will give the best title which would fit the context, as to audience or readers; I believe it would have many readers for a number of reasons. I look forward for your decision and acceptance. Thank you again.